There are several examples of AI in healthcare, such as messaging systems that have become so commonplace that people don't give it a second thought. Patient experiences in the healthcare world have improved thanks to something as simple as appointment reminders and more access to records. 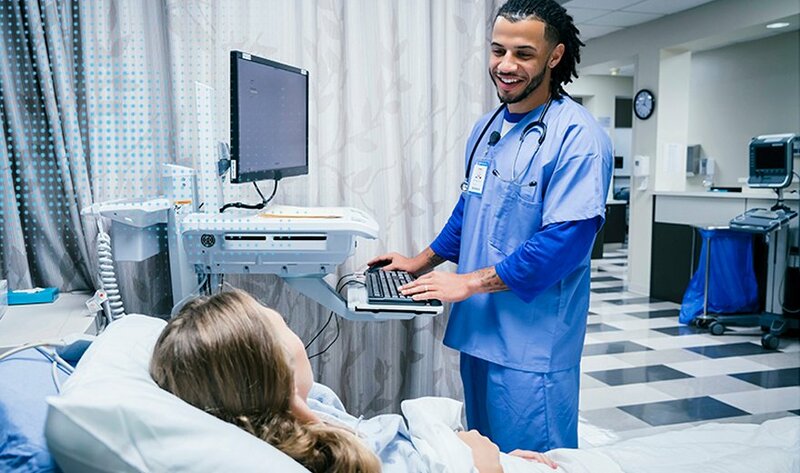 Medical facilities, such as Flagler Hospital in Florida, are using machine learning software to help tackle conditions such as pneumonia. By using the data derived from the Ayasdi software, the hospital was able to create a new roadmap for care. As a result, the facility saw readmission rates for pneumonia drop from 2.9% to 0.4%. This example of AI in healthcare is only the tip of the iceberg. AI applications in healthcare are predicted to have an increasingly large impact on patient diagnoses and treatment over the next decade, according to a report by Hewlett Packard Enterprise-owned Aruba Networks. This includes everything from wearable devices to tools that integrate with healthcare records. How have your healthcare providers begun implementing AI?